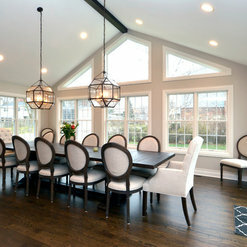 Award winning design build firm with over twenty five years of home building and remodeling experience in the North and Northwest Suburbs of Chicago, we’ve built, renovated and remodeled well over 500 homes. Our skilled team is dedicated to true craftsmanship and flawless design. 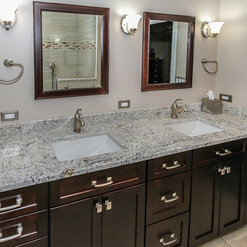 We take each project from a concept, to design, through completed construction. 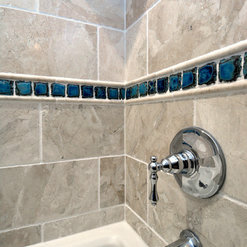 We employ only the most dedicated and experienced artisans to build or renovate each home. Our experience means our clients get superior craftsmanship and design done on time and within budget. -Establishing Successful Partnerships -Building True Craftsmanship -Designing Flawless Space -Creating Functional Living -Providing Value for Generations We, at Patrick A. Finn, provide true craftsmanship and flawless design of new custom and remodeled homes. We are true to our work and to our customers. Treating customers like family, we establish a successful partnership with them, we focus on communication throughout the construction process and stay in touch with our customers well after a project is completed. We establish lasting relationships with our customers by exceeding their expectations and gaining their trust by every member of our construction and design team. We add value for our customers through creativity, foresight, integrity, masterful performance, and honesty. We represent true craftsmanship and flawless design. 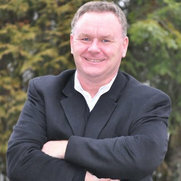 For more information on our company, visit us at http://www.patrickafinn.com/. 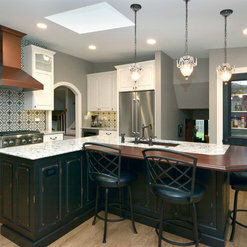 To download our helpful homeowner resources, go to http://www.patrickafinn.com/home-remodeling-resources/. I was very pleased with the work done by Patrick A. Finn, Ltd. The quality of work was great. They were especially helpful in helping me make decisions and they paid special attention to details. I was always kept informed of any changes that were required. Would definitely consider them for any future work I need to have done. 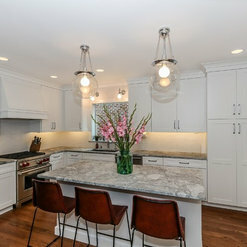 I have had the benefit of working closely with Patrick Finn and I can say without a doubt that anyone who chooses to invest in a quality remodeling project with his firm will be happy they did! We met through a national organization that has the highest standards required for membership. We regularly meet to collaborate on how to better serve our clients and make our businesses the best in our area. I can’t say enough about the way he cares for his clients, his trade partners and employees. I highly recommend Patrick and his team! Patrick Finn and his team are all extremely professional and hard-working. We were most impressed with Greg and Carlos on their high quality workmanship and neatness. Jeff, the project manager, was also very responsive and kept the job on track. The only downside was the designer assigned to our job; she was extremely professional and nice but just not experienced enough. Overall, we were very pleased with the end result! Thank you Marcia and Steve for your feed back, it's very important to us that we know what our customers think about the services we provide. We have since hired a new designer with alot of experience with interior design. 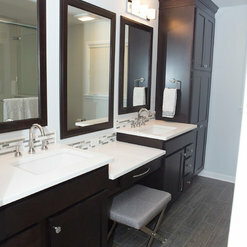 We hope that you get to enjoy your new bathroom for many years to come. I hired Patrick A Finn, Ltd to do a basement egress windows project. My experience working with this firm was extremely good. I met with Patrick at the beginning of the project to go over the work in detail along with the related costs. I again met with Patrick at the end of the project to review the work and to make sure I was 100% satisfied. I found the various employees and sub-contractors to be professional, knowledgeable in their trade and produced good quality work. I enjoyed working with them. If you are looking for a firm with high standards, a personal touch and great workmanship you will find it at Patrick A. Finn. Thank you very much for leaving us this kind review. We appreciate hearing that you were happy with all of our people. We are happy we got to work with you on your basement windows. If you ever need anything else, please don't hesitate to give us a call. Thank you for your kind words they mean so much. We as a company are so happy that you love the newly created 1st floor space and your beautiful new kitchen. We hope that you have many years of creating fond memories in your "new" home. Thank you again. After downsizing from 4 bedrooms to 2, I realized that I didn't have room for guests who wished to stay more than a couple of nights. 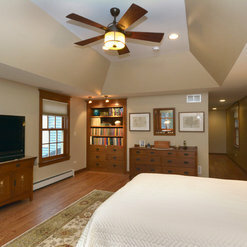 The solution was to convert part of the basement to a guest suite, but how to envision this was beyond my capabilities. Patrick's team created a perfect plan, worked with me on a couple of minor changes and took care of every detail with professionalism. The end result is a well built, code compliant, BEAUTIFUL space that I now get to furnish and decorate. 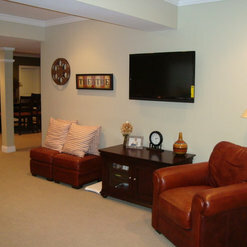 I will happily recommend them to others and will use them again should I decide to update additional areas in my home. Thank you for your sincere comments. 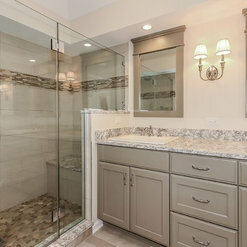 We are so happy that this remodel will be adding the functionality that you need to your home. If there is ever anything we can do for you, or anyone you know, please don't hesitate to call! Thank you for leaving this review. We are so happy that you love your new space, we do too! The craftsman style was a great choice. Thank you for the opportunity to work on this project. If you, or anyone you know, ever needs anything don't hesitate to call. We appreciate having had the opportunity to work with you on multiple occasions. It is great to know that you are still enjoying your space and getting complements on it! 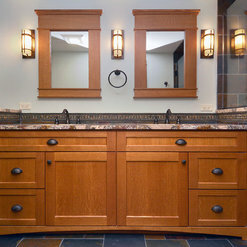 Don't hesitate to call if you or someone you know needs any remodeling work. Thank you John and Anita for your kind words. We really enjoyed working with you and we look forward to the possibility of working with you again soon. In the meantime, if you know of any friends or family that may be looking to build a new home or do some remodeling work, please keep us in mind. Once again, thank you. Commented: Fridge placementThere is plenty of room for the fridge door to open. 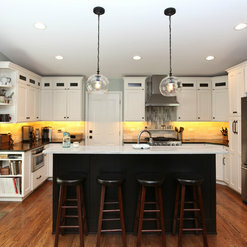 Commented: What color are the cabinets, both the white and walnut.The island is Natural stain on walnut, and the perimeter is Snowbound. All from Custom Wood Products. 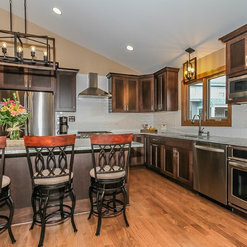 Commented: Stain ColorSorry, cinnamon is the stain, cabinets were made by Custom Wood Products. Commented: Barn door splitWe got these doors directly from our millwork supplier who only sells directly to builders.